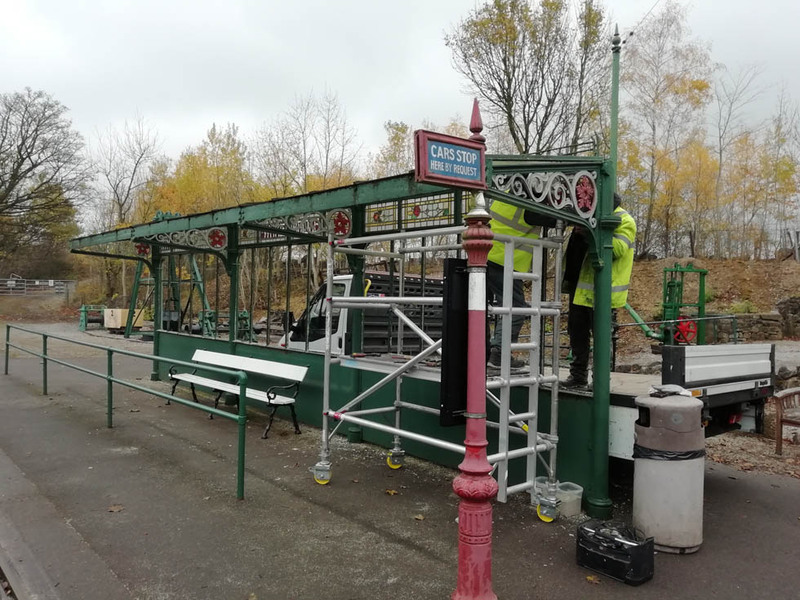 The photograph above shows The Octogen at Wakebridge undergoing restoration and repaint to transform it into an interpretation space. This is part of a wider Heritage Lottery Funded project which will bring further enhancements to the Woodland Walk for the 2019 season. 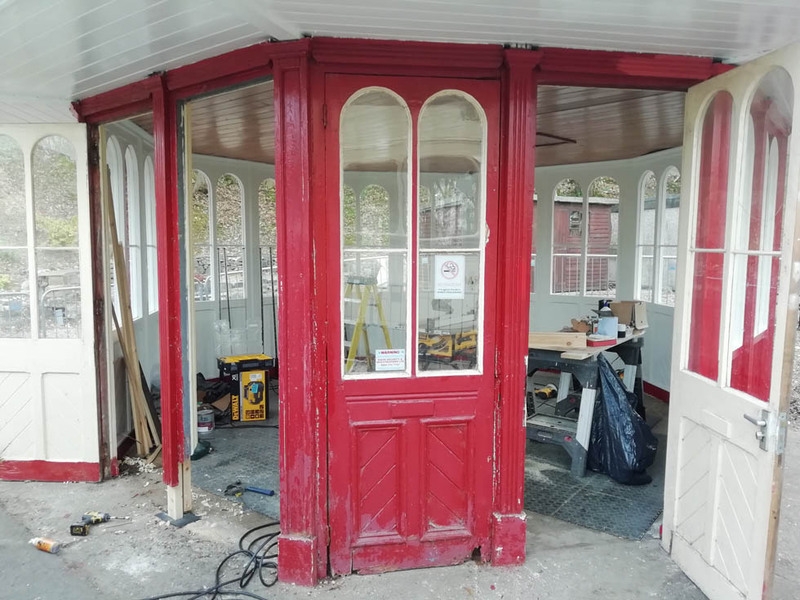 Dorothea Restoration have commenced works restoring the Birmingham Tram Shelter at our Wakebridge tram stop (Photograph above left). Here paint samples are being taken to determine the original finish while the wired glass panels are carefully removed. 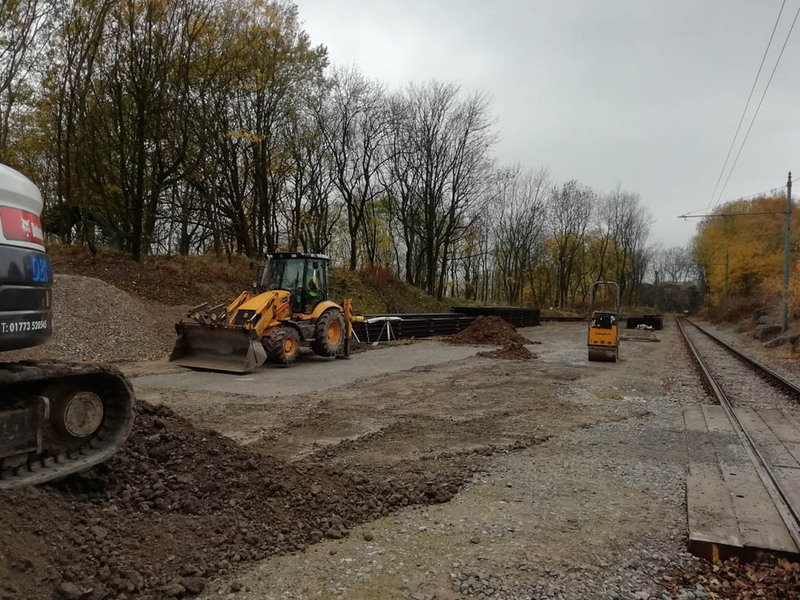 Work at Cabin Crossing (Photograph above right) includes groundworks being dug in our permanent way yard for installation of a new concrete hardstanding work area for pointwork and overhead component maintenance.